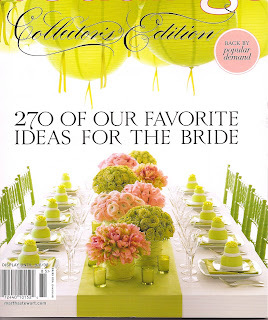 I was so excited to go get the new Martha Stewart Collectors Edition Magazine. Couldn't wait to to open it and see the new 270 favorite ideas. Well much to my disappointment its the SAME thing they have put out the past 2 years. Same layout, same picture etc. I was really hoping they would take advantage of all the NEW ideas and trends. cute cover - great pink and green picture but how about cake pictures we haven't been seeing for the past 5 years! I saw this one in the stores and couldn't get over to the stand fast enough. Like you, I was disappointed that this issue contained recycled pictures from prior issues. I know there is a push on recycling and going green but recycling photos from YEARS past is a bit much. Do you like your profile? M&MS are at it again! Could I offer you some Tea?